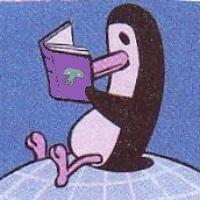 The Penguin has returned – refreshed and renewed. New Jersey resident, born and bred here; have lived and traveled in Europe. Vocational librarian and teacher, avocational artist and writer. Psst – Don’t tell but I’m not really a penguin, I just play one on the Internet. Is there a policy about derailing a question in Social? What to do about this toilet dilemma? Wouldn’t it be fun if we get a President Hinkenlooper? Probably sheets of toilet paper. I buy in bulk. 1 day ago Great Answer (8 ) Answer to Do you have a thousand of anything in your home? Update: People asked what they could bring and I asked someone to bring berries which I served in a bowl along with the cake. It went well. The evening was a success. I tend to think that any statement about “all” is a useless generalization. 1 week ago Great Answer (6 ) Answer to Are Democratic politicians equally deplorable as Republican politicians? Login to send a message to janbb. I Need Temporary Staff For My Organization Quickly. Can A Search Firm Help Me? Which Company Offers The Most Reliable Home Inspections In Chicago?